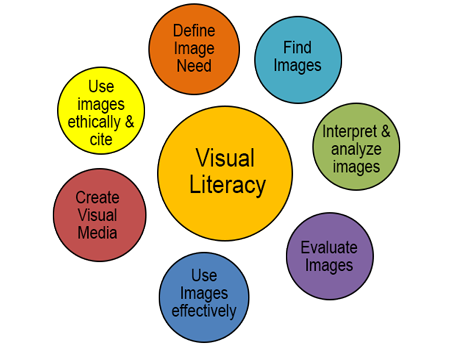 "Visual literacy encourages careful observation, awareness of aesthetics and their effect on meaning, visualization of concepts and data, contextualized visual interpretation, and experimentation with tools and technologies to design and create new media." Annotating images may be one of the most accessible ways to help students interpret and analyze the meanings of images and visual media. StoryMaps combine images, maps, video and text to create rich digital narratives allowing students to explore topics from multiple perspectives. Mapping images provides students an opportunity to work with images and other media to create meaningful geo-visualizations. The ability to present an image with multiple levels of zoom allows faculty to effectively teach with maps and other media. With Gigapixel students and faculty can tell stories with large photographs, works of art, historic maps, and other image files. Image swiping techniques allow students and faculty to explore, interpret and analyze the meanings of images by combining images that have a "matched" perspective. Understanding the circumstances behind the "making" of an iconic image can be a powerful way for students to evaluate images and their sources. Mapping libraries such as Leaflet can be utilized to generate powerful comparisons between maps and/or other types of images. Timelines are an excellent choice for students working on topics with a strong temporal aspect - and can include images, text and other media.